As many of you know, earlier this year I reopened my etsy shop, Cwafty Creations, and business has been decent. It's only going to pick up from here and I also picked this year to sell at my first convention. 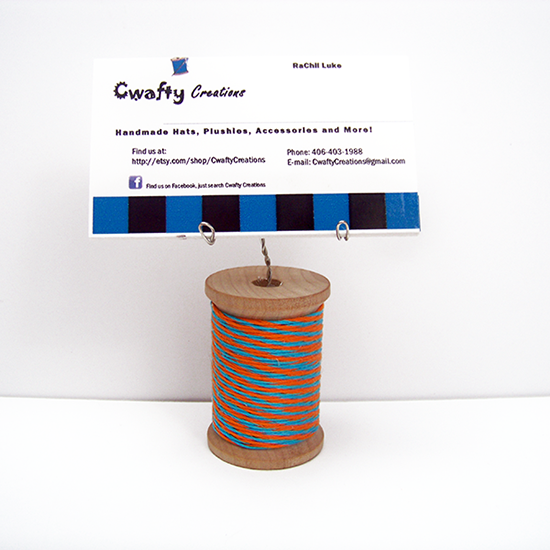 I've been thinking about products and displays a lot lately and in a bolt of inspiration I came up with the perfect way to display my business cards whenever I sell at fairs or conventions! Behold the spool! My brand's logo was literally begging to display little card stock rectangles printed with images of itself. I couldn't be happier with the final product. This is a very simple craft that I is sure to make a great impact on my display at my upcoming and any future conventions! 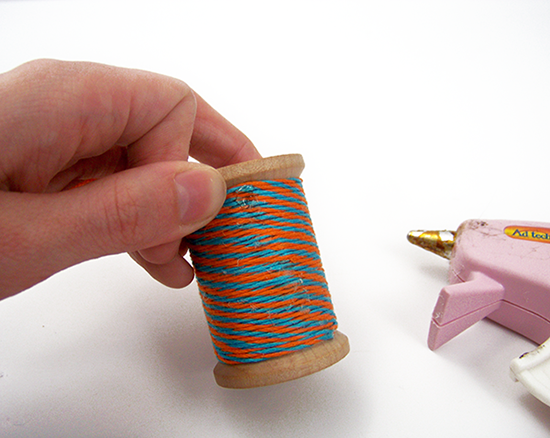 Find out how to make your own over at Dream A Little Bigger!